Another week, another food related Friday favourite from me. Over last week’s bank holiday I seemed to eat out endlessly, and one of my highlights was the new breakfast and brunch menu at Dough in the Northern Quarter. I’m becoming quite a regular at Dough due to its vegan pizza offering and the fact that it’s literally on my doorstep, so it did excite me when I noticed they’d launched a brunch menu last month. 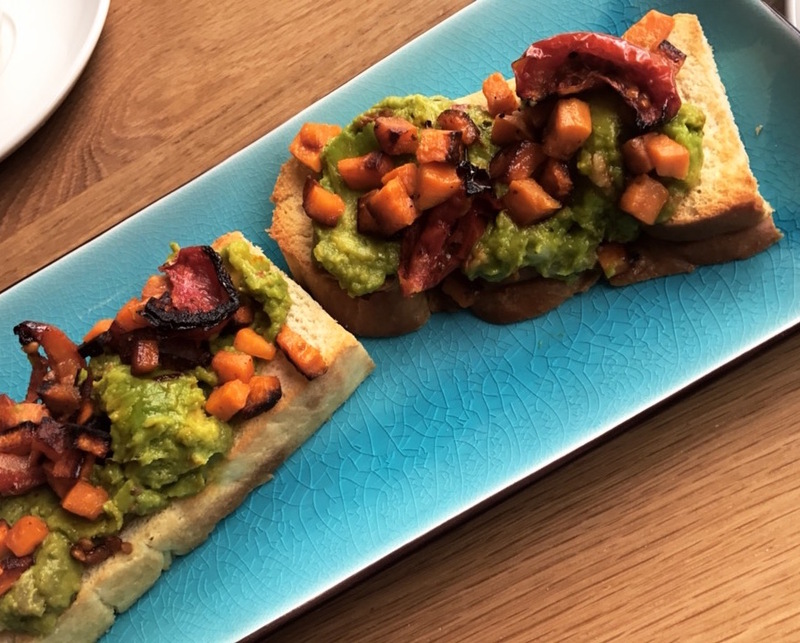 My friend Kelli and I paid a visit on Saturday morning – I opted for the sweet potato, avocado and sun blushed tomatoes on bruschetta (because is it really brunch without avocado? ), which was delicious. The menu includes classics such as granola, waffles and baked croissants, as well as more adventurous dishes like shakshuka, English breakfast pans and croque monsieur focaccia, and is really reasonably priced (my meal was around £4). I’ll definitely be back – probably next weekend! My Friday favourite for this week, like Ellen, has to be a foodie one, in the form of the Northern Quarter’s Cottonopolis. I’ve been to Cottonopolis once before and I loved it then too, even insisting Amanda pay a visit for an outing she had planned with her sister (it made it as her Friday favourite too – read it here), but hadn’t been back in a while, so made it my mission to do so recently. 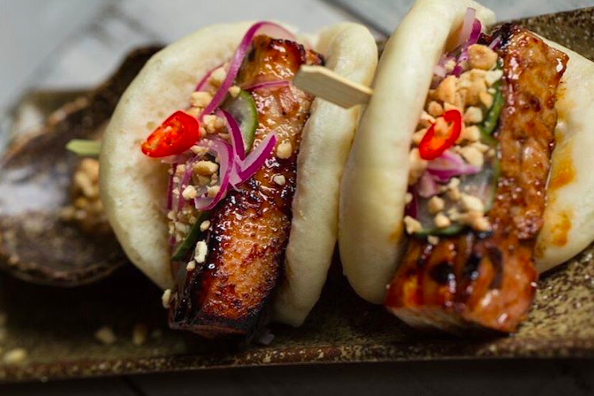 The Asian inspired menu is broken up into five categories: ice, fire, steam and oil, referring to the way each dish is cooked, and has left me spoilt for choice both times I’ve visited. If you’ve ever looked at a menu and thought ‘I’d probably enjoy anything/everything on here’ (as we did), then this is the place for you – we left our choices entirely down to our lovely server. I get the feeling that they must get this request a lot, as they definitely delivered by surprising us with five very different, delicious dishes, including sushi, lamb, pork and squid. We enjoyed every dish they had chosen for us and they weren’t at all phased by our request to leave it all up to them. So, if you’re a bit of a foodie yourself and are happy to try new things, I would definitely recommend Cottonopolis as a place to do just that. 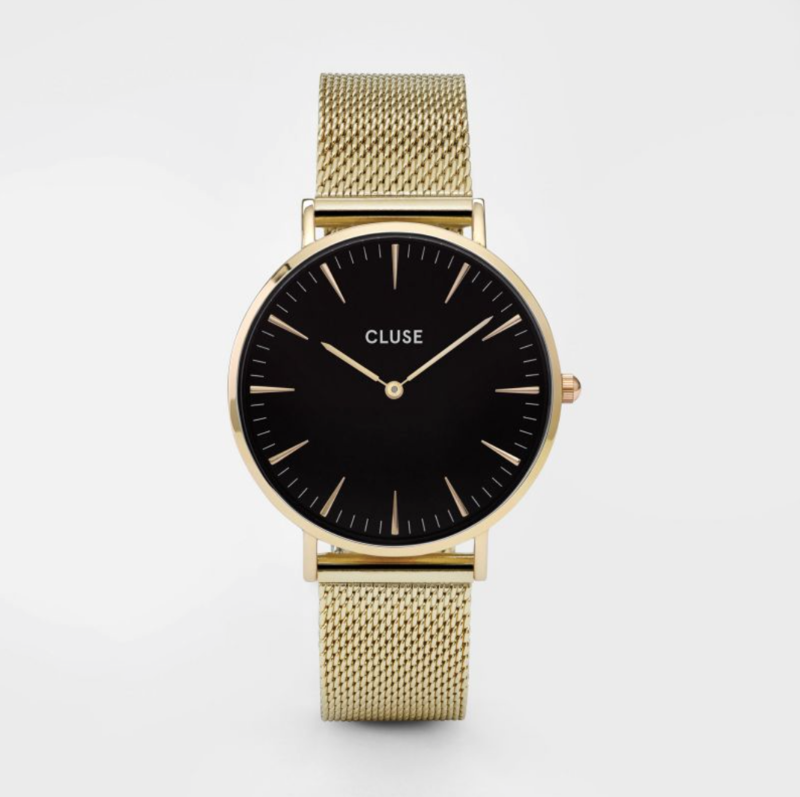 Having celebrated my birthday last week, I have a few new pieces fighting for the title of Friday favourite, but this week I’ve decided to focus on my Cluse watch, which I haven’t taken off in the week that I have had it. I’ve worn my chunky rose gold Michael Kors watch religiously over the last few years, but recently found myself hankering after something a bit simpler that would complement my predominantly monochrome wardrobe and gold jewels – and this was it. It’s perfect for wearing casually (it is accessorising jeans and a slogan tee as I type), or for adding a bit of bling to a slightly dressier outfit. I can see me wearing it daily for the foreseeable – a definite wardrobe staple. 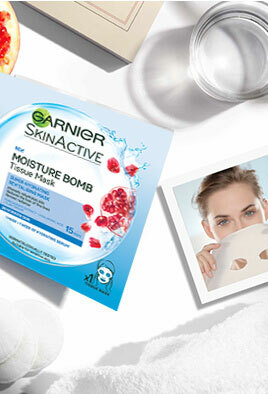 This week I finally got around to trying out Garnier’s new ‘Moisture Bomb’ sheet mask and instantly fell in love! I can start off by saying that the name is perfectly suited to the product – the mask is drowned in a moisturising serum, intended to give your skin the ultimate boost. To use, you press the mask on to your face and leave to soak in for 15 minutes. After the 15 minutes had passed, my skin had never felt so amazing and refreshed – it didn’t feel wet or sticky at all, just incredibly hydrated and rejuvenated. Although pricey at £2.99 for one mask, I’ll definitely be using it again, along with other products from the Moisture Bomb collection, which also features a protective face mist, antioxidant water cream and day and night moisturisers. I recently tried a sample of This Works’ Deep Sleep Pillow Spray from Space NK, and fell so in love that I had to buy a full-size bottle, so it’s only right that it is my Friday favourite this week. According to the brand’s website 89% of people fall asleep faster when using the spray, and 92% felt more refreshed when they woke up, and I have to say I am now one of those people – I now can’t go to sleep without spraying this little bottle of genius across my duvet and pillows. Made using 100% essential oils including lavender, patchouli, vetiver and ho wood, the spray is free from any parabens and fragrances and isn’t tested on animals. The scent is really subtle and isn’t overpowering which is perfect for bedtime. The spray instantly makes me feel relaxed and ready for bed, and I would recommend it to everyone – whether you struggle sleeping or not, this is just an all-round great product.